The Packing Rank is back! What is the difference? 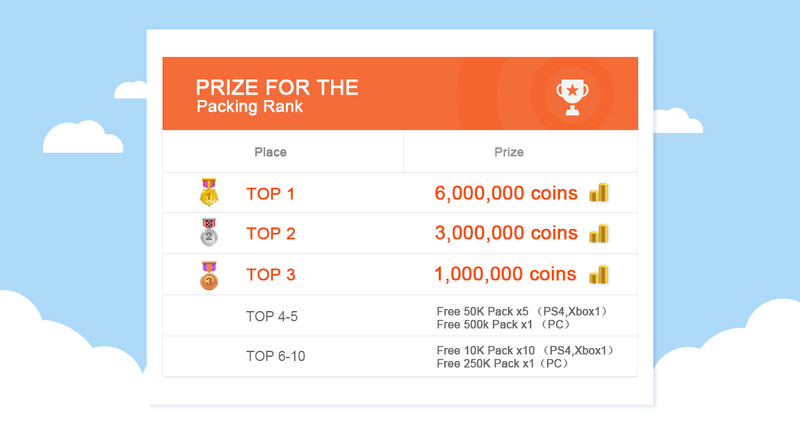 The more coins you pack, the higher ranking you will get. As you can see, the Packing Rank event will only last a day on each week, so don’t miss the chance to have fun. The last important thing is the winners will receive the prize on every Monday. Please check the Member Center - Message and your Mail Box, then please follow the details to get your prize. Thanks for your attention, wish you all good luck.